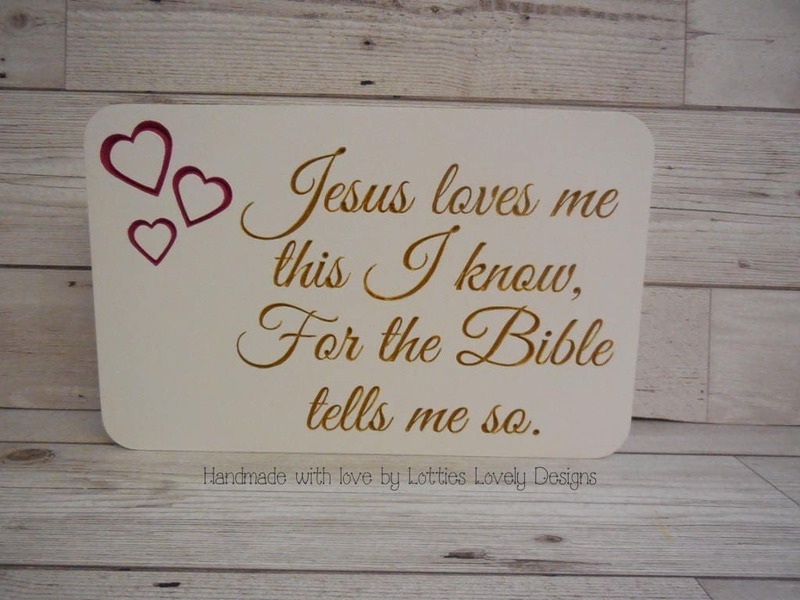 This lovely worded quote plaque is made from freestanding 18mm MDF engraved & hand painted with the wording & details picked out in a gold & red paint to show the lovely quote. Would make a lovely gift to someone who is religious, recently baptised/Christening, new home gift Mothers or Fathers day. I have painted this in a cream base with coloured details to show the lovely wording & detail however you could have this painted in any colour. Please leave a note in the comments if you would like different colours.